A charity has warned people with asthma to take their condition more seriously after research showed more than half did not think they were in danger of having a severe attack. Asthma UK surveyed 50,000 asthma sufferers and 52% of those questioned did not think they were at risk of an attack. But the charity has said that out of those people, 90% were actually under-estimating the danger they were in. The figures have been publicised as part of Asthma UK's new campaign - Stop Asthma Deaths. Measures asthma sufferers can take to protect themselves include making sure they have their inhaler with them at all times, including when they travel, and taking out a proper asthma travel insurance policy. The charity warned that people who forget to use their preventer inhaler on a daily basis or who ignore symptoms which are getting worse are potentially putting their lives at risk. 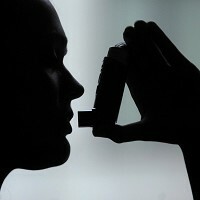 Asthma UK's chief executive Neil Churchill said that millions of people with asthma in the UK do not realise how dangerous their condition could be and often take major risks with their own health.